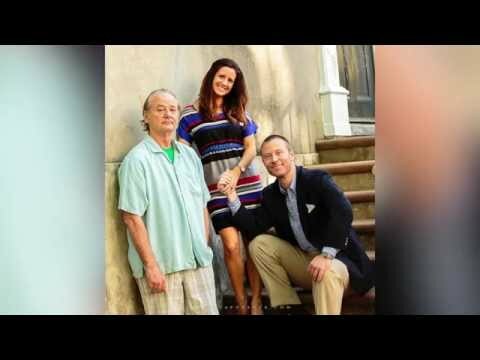 Bill Murray is the ultimate honey badger. Though now known for his roles in such classic films as Groundhog Day, Ghostbusters, and Stripes, Murray first got his start as a castmember on SNL. Some of these Bill Murray stories are legendary, while some may have indisputable proof - yet they are all amazing and sound exactly like the kind of awesome thing the most enigmatic celebrity (that we actually like) would do. From stories on the set to sightings in Karaoke clubs and even dropping in on random house parties, this is a list of the greatest (real) Bill Murray encounters of all time. For more amazing true Bill Murray facts, check out this list of roles Bill Murray almost played. During construction of the Poet's House, a library in Manhattan, Bill Murray stops by to read poems to the construction workers who are working on the building. In the middle of reading, Murray imparts: "It gets worse. If you want to take a sick day, do it now." Workers laugh and take photos with their cell phones. 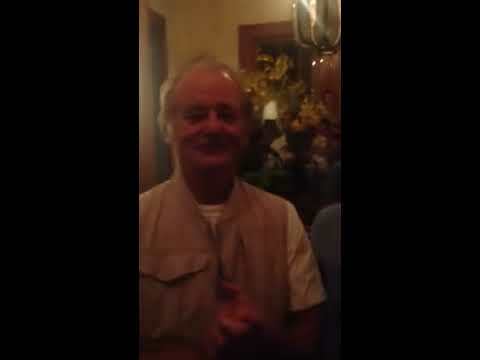 At one point during dinner at a steakhouse, one guy goes to the bathroom downstairs and sees Bill Murray sitting with some people with a fishing vest on. We talked to the waiter to see if we could send him some drinks, to which Bill declined. One of my buddies then went down and asked if he'd come up and say a few words for EJ and got a 'No thanks.' My buddy comes back up dejected and tells us it's not going to happen. Two minutes later, Bill f*cking Murray walks into the room and gives this speech. Murray says to the group: "You know how they say funerals are for the dead, not for the living? 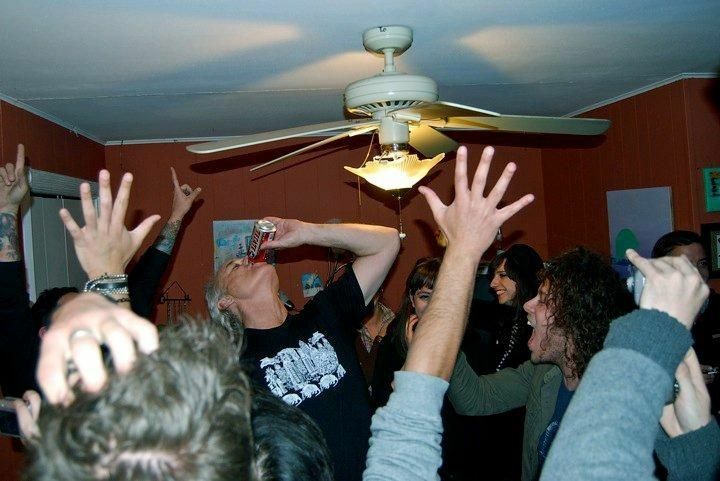 Bachelor parties are not for the groom, they're for the unmarried." If you have someone that you think is The One, take that person and travel around the world. Buy a plane ticket for the two of you to travel all around the world, and go to places that are hard to go to and hard to get out of. And when you land at JFK, and you're still in love with that person... get married. 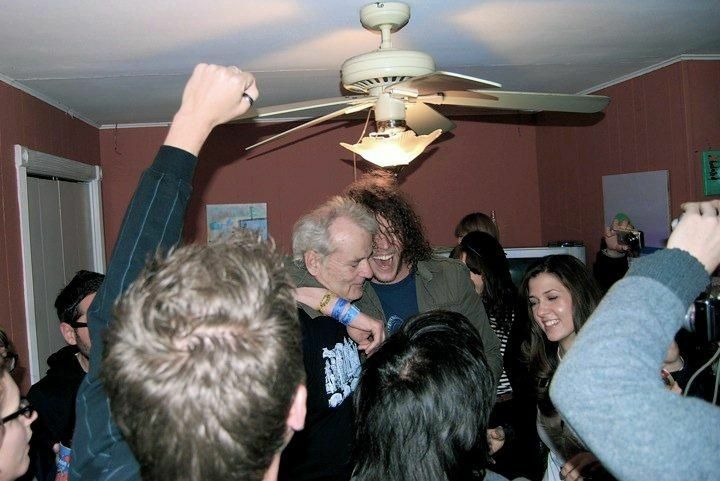 Then, Bill Murray hoists the groom up on his shoulders. You decide. The video is right there. The story begins when Bill Murray attends Austin's SXSW festival and hangs out with Wu-Tang Clan. He shows up with them at the bar Shangri-La and insists on bartending, only serving patrons shots of tequila. No matter what they ordered, he pours them a lot of tequila. Bill Murray Bartending at SXSW 2010 from Erica Hoerl on Vimeo. This story is widespread, and there's video to prove its accuracy. It also highlights the extent of Murray's awesomeness. Who knows how many of the details and secondhand accounts are true, but the video is pretty indisputable. In May 2014, wedding photographer Raheel Gauba was out on a photo shoot with Erik Rogers and Ashley Donald, when suddenly the expressions on their faces went from candid to pure shock. Gauba told The Post and Courier: "I thought who the heck is bothering them? I turn around and it's Bill Murray with his shirt up, belly out, tapping his belly and trying to make them laugh." Gauba invited Murray over to pose with the young couple for a few pics, to which he obliged, and then took off. There's the pre-newlywed pics to prove it.